TNPSC Online Mock Test Free is available for you for your effective TNPSC exam preparation. Tests are based on objective type questions with 4 options like TNPSC prelims exam. It gives you a real time exam experience and helps to improve your knowledge. This TNPSC online Test has 200 Questions (Tamil and English Medium) as per the TNPSC’s latest revised syllabus and exam pattern. General Knowledge – 75 questions, Aptitude -25 questions and General Tamil/General English – 100 questions. Each question carries 1.5 marks. At the end of the test, you will get a complete chart of the Exam with the report of correct and wrong answers. TNPSC Online Test for TNPSC group 1, 2, 4 andVAO and all other competitive exams. We provide solutions at the end of the online test. If you need complete solutions for that TNPSC online test, Please mail us on info@governmentexams.co.in. 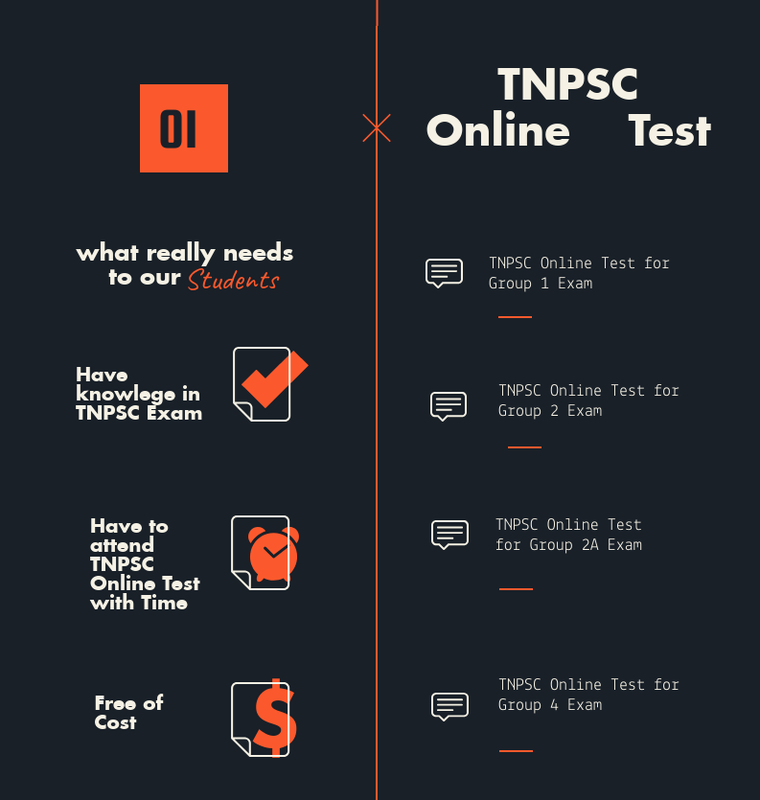 Kindly go through all the TNPSC online Test before attending the Prelims examination. Also, check TNPSC Model question papers in PDF to get more knowledge in that TNPSC exam. Practice TNPSC Previous year question papers so that you understand the question pattern as well as to get the clear idea in the Prelims exam. Before appearing TNPSC online test read the instruction carefully. Attend the test after understanding the exam pattern. You can take/practice TNPSC online test at any number of time. Its fully free and we update question and answers regularly. Try to solve as many online tests as you can.